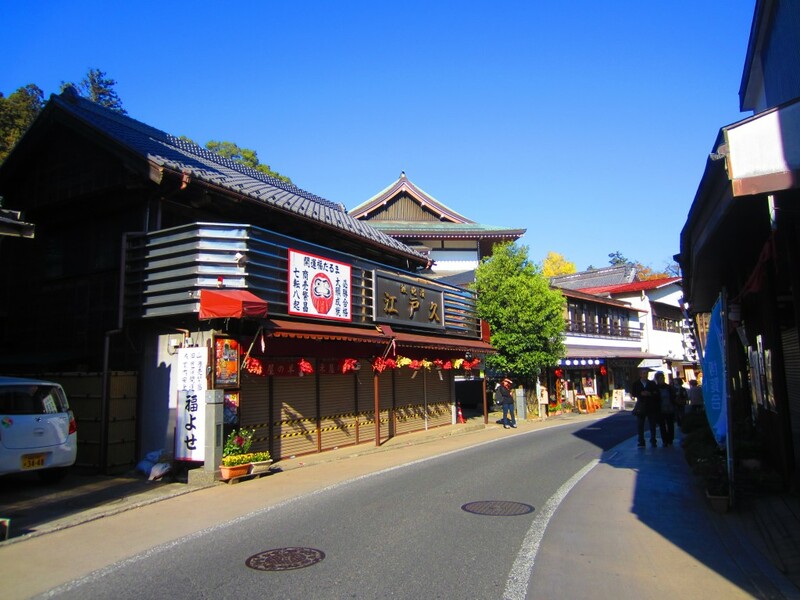 Leading visitors from Narita Station to Narita-san Temple, Omotesando Street is a glimpse of the traditional market streets of Japan. From sake to sembei (rice crackers), vendors in old shops have sold their wares for generations on this street. Even the large confectionary shop, modernized and enlarged to satisfy a greater number of customers and international visitors, retains the flavors that have become a part of traditional food culture. 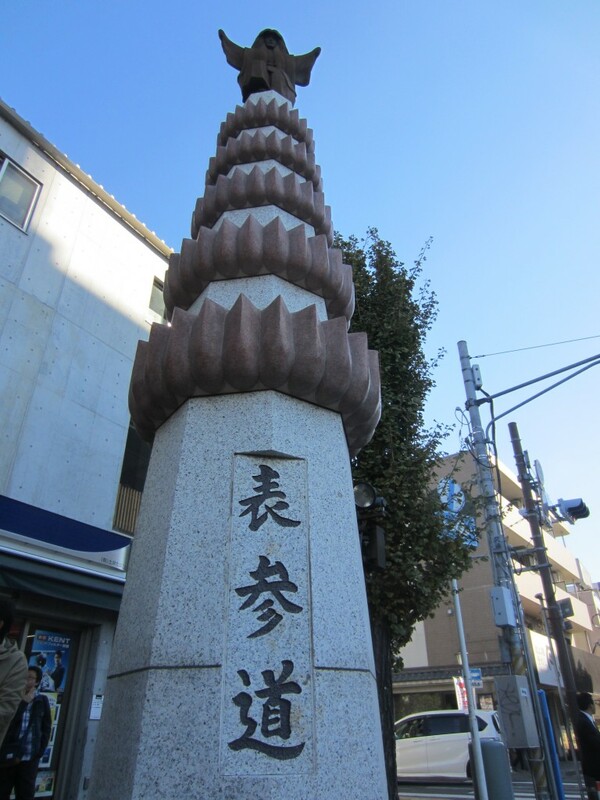 The statue shown above commemorates a famous kabuki actor born in Narita City and is a welcoming beacon to visitors. Unlike many streets, Omotesando Street is lovely on its own. 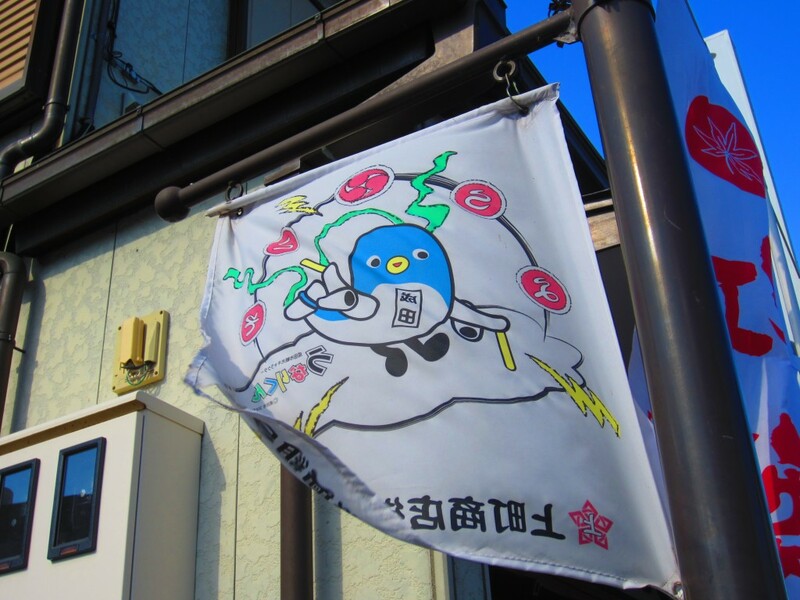 With decorative posts and banners bearing the Unari-kun Narita City mascot, the street is pleasant to stroll down. 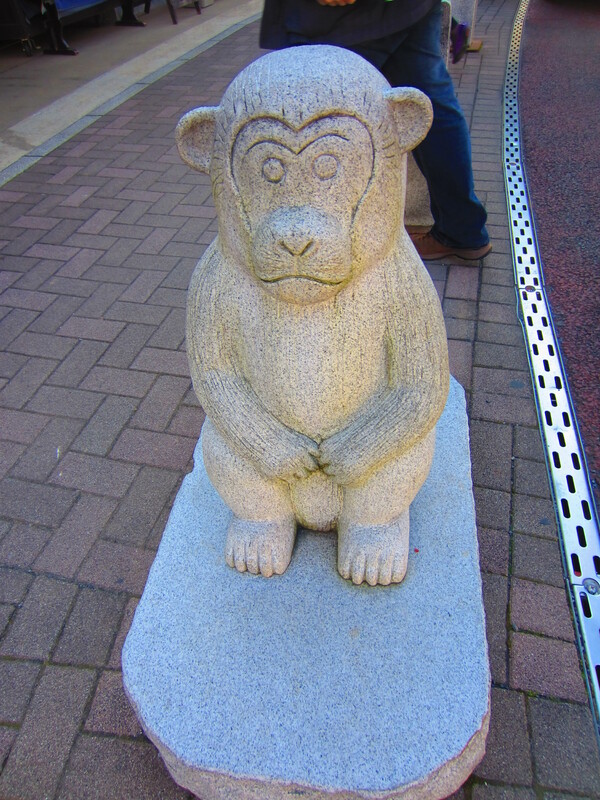 Another interesting addition is the zodiac sign animals in stone form lining the sidewalks. 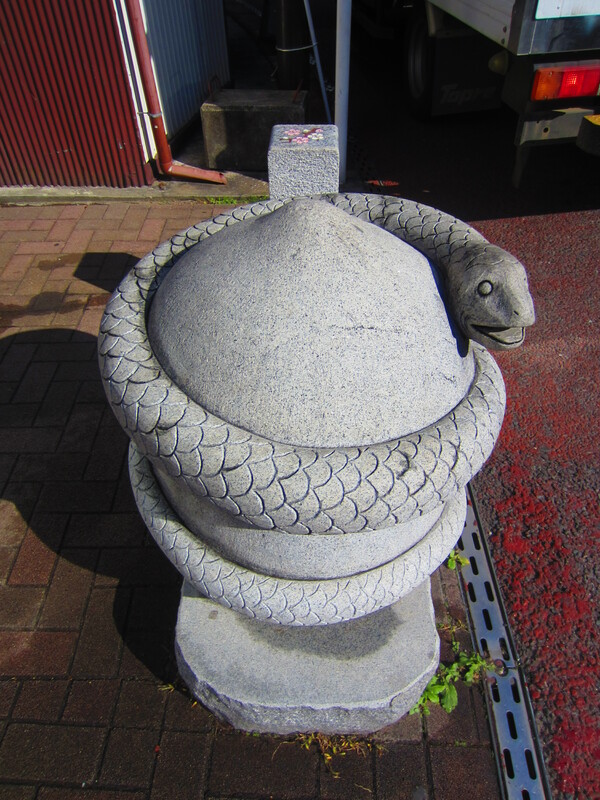 The size of a medium dog, each statue tastefully fits into the area without drawing attention from the old-fashioned store fronts. Omotesando Street is home to souvenir shops, restaurants, bars, and inns. 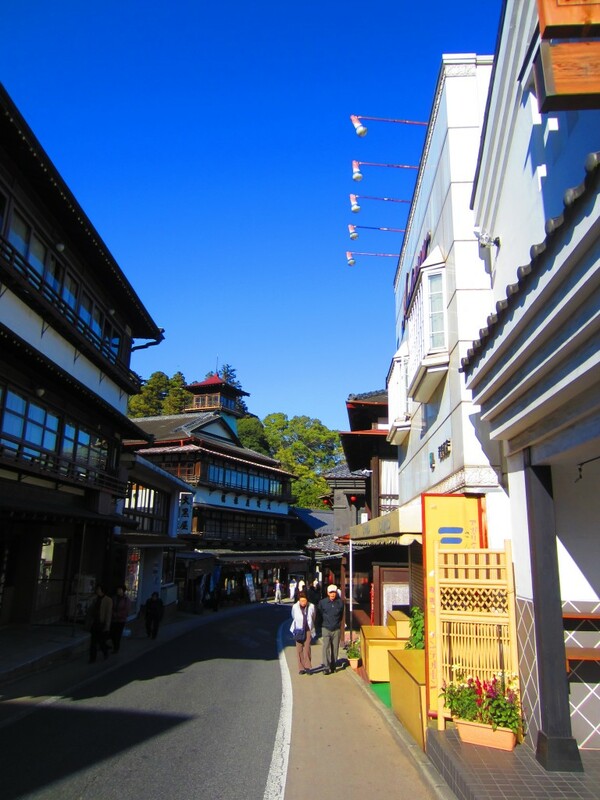 It stretches some 800 meters to the entrance of Narita-san Shinshoji Temple. 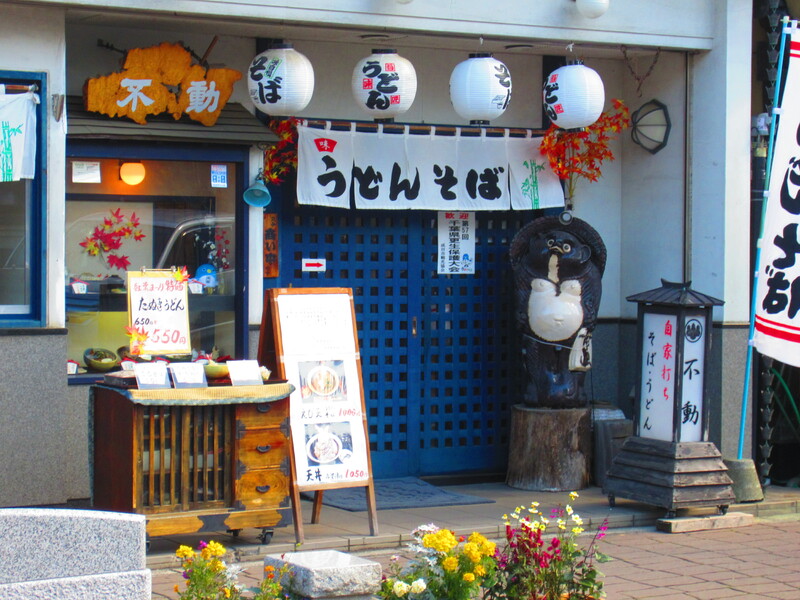 Of the many eateries, about 60 are unagi restaurants selling special eel dishes, a local delicacy. 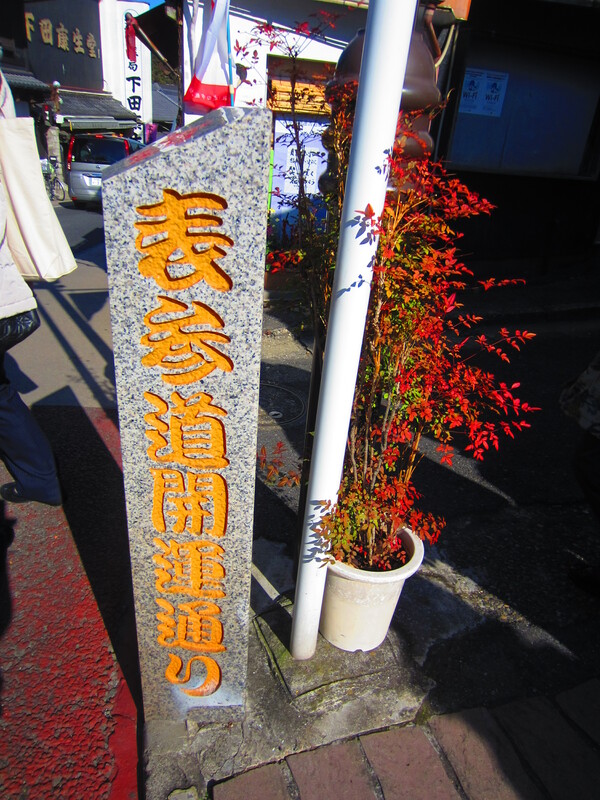 Also on the street is the Registered Tangible Cultural Property of Onoya Ryokan, a mid-Edo Period inn. 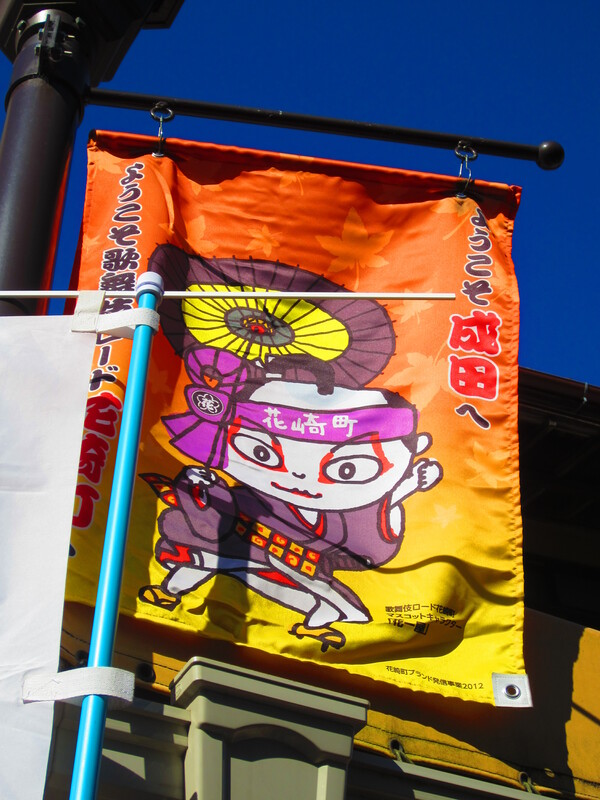 Narita City, especially Omotesando Street, is also visitor-friendly. 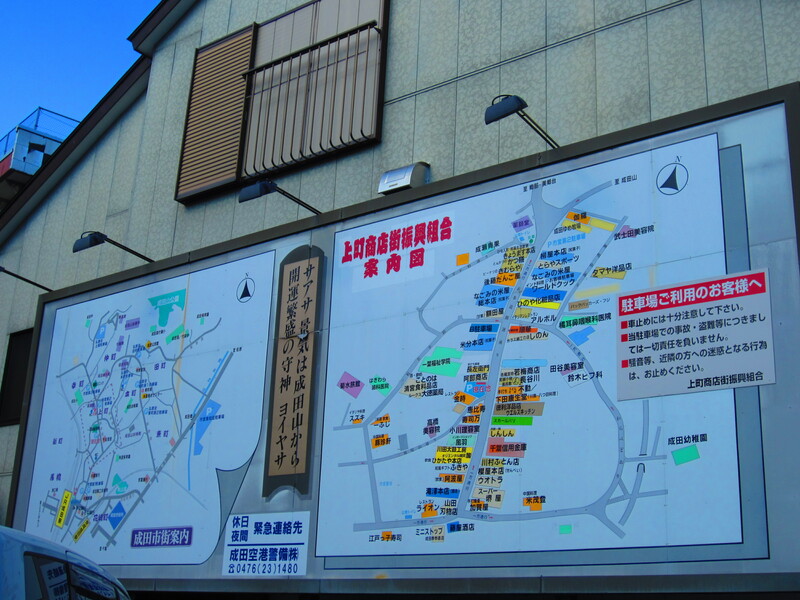 With free public WiFi on Omotesando Street and at hotels near the airport as of October 2013, the city has never been easier to navigate. At the Visitor Information Pavilion, visitors can obtain a multi-lingual guide map as well as the Narita Bar and Restaurant Guide which highlights eateries providing menus and services in English; these can also be found at various hotels, information centers, and restaurants in the area. Also helpful, Welcome Narita stickers through the city indicate English-friendly establishments.